What is Keeping You from a Straight Smile? Everyone deserves a smile they are proud of and eager to share–orthodontics can get you there! What is keeping you from your straight smile? Whatever obstacles you feel are between you and a beautiful, healthy, functional smile, let our Belmar Orthodontics team show you how you can overcome them! Orthodontic treatment isn’t just for growing mouths, but for adults too! Learn how we can help you get the smile you have always wanted, or had but have lost over time. 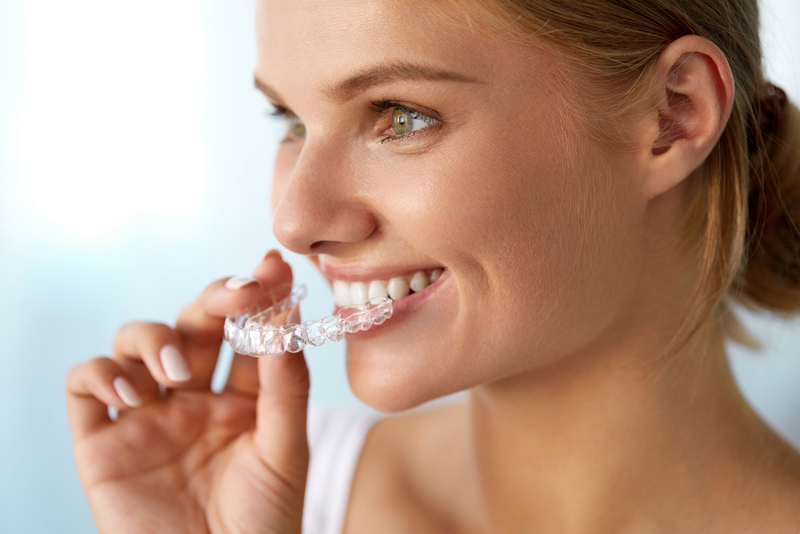 While some may think that orthodontics is simply for improving the esthetical beauty of their smile, the truth is that orthodontics is necessary for optimal health. Orthodontics helps to prevent and treat oral irregularities to straighten teeth, correct irregular bites, close gaps between teeth to aid with gum health, and to bring jaws into proper alignment. Crooked teeth put your overall health at risk. Crooked teeth are also harder to keep clean, run the risk of severe tooth decay–and ultimate tooth loss–and put you at great risk for periodontal disease. Periodontal health contributes to your overall systemic health. Periodontal disease puts you at an increased risk of cardiovascular disease, diabetes, and adverse pregnancy complications. Worried You Can’t Afford Orthodontics? Our Belmar Orthodontics staff understands the financial worries patients have about committing to orthodontic treatment. But, small orthodontic issues can become bigger, more expensive problems down the road if they aren’t addressed. At Belmar Orthodontics, we do not want these expenses to compromise your ability to obtain good oral health or a beautiful smile. We accept cash, check, and credit card payments, but we also offer customized-payment plans for qualified applicants as well. Our practice also accepts most dental insurances. Please contact our office to learn more about our payment plans and how orthodontic treatment can work with your budget. We work with you to establish a treatment plan/payment plan that works for your budget. Smart planning and budgeting can offset some orthodontic costs and make the expenses easier to handle. During your consultation, we can help talk you through your options for care. Get the information you need to start financial planning and to get the treatment you need, when you need it! If you are delaying orthodontic treatment because you feel self-conscious about the idea of wearing an orthodontic apparatus, you are not alone. The good news is, technology has make leaps and bounds from where it was even a decade ago and now you have discreet options to choose from that can actually render your braces almost indetectable! The amount of adults who want to invest in their oral health is on the rise and adults now make up over 50 percent of orthodontic patients. One of the main reasons for this increase is the advancement in the design of braces that make them less noticeable. Belmar Orthodontics offers a variety of treatment options – including traditional braces, ceramic clear braces, Incognito Lingual Braces and Invisalign® – and prioritizes patient education so the patients themselves can make the final decisions regarding their orthodontic care. Look no further! Belmar Orthodontics offers you state-of-the-art technology with expert care and services. Board Certified by the American Board of Orthodontics , Dr. Hardy is an award-winning Lakewood orthodontist and an active member of the American Dental Association and the American Association of Orthodontists. Dr. Hardy works with an expert team of dental professionals at Belmar Orthodontics to create a comfortable and personalized experience for each of his patients. Dr. Hardy believes that your smile plays an essential role in your overall health, function, and self-esteem. They have experience with a variety of bracket systems for improving your smile that are recommended based on your goals and specific needs. At Belmar Orthodontics Lakewood, we want you to feel confident in your smile. We want you to want to share it with others. We are dedicated to helping you achieve a smile that you are confident in sharing–not only for the beauty of it, but from the excellent health behind it. Dr. Hardy and our team of dental professionals at Belmar Orthodontics Lakewood are dedicated to giving you both cosmetic and functional results with a treatment process that you are comfortable with. We do this through open communication, patient education and cooperative treatment planning. At Belmar Orthodontics in Lakewood, you can trust that you are getting the quality of care you deserve in a warm, relaxed atmosphere you will enjoy visiting. If you are interested in how we can help improve your smile, please contact our office today. We are happy to answer your questions, and we can help you schedule a one-on-one consultation with Dr. Hardy to discuss your unique orthodontic needs and goals.